Use the Crestware BARB Two-Pocket Bib Apron to keep your staff looking and feeling good while protecting their clothing from spills and stains. 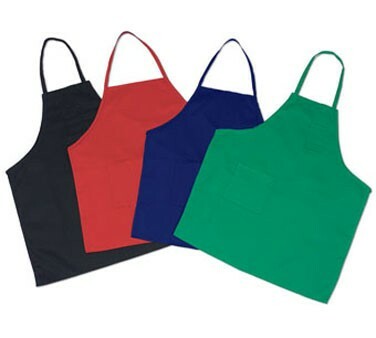 Tailored with adjustable neck ties, this apron ensures a secure and comfortable fit for ease of movement while its two pockets are ideal for holding small frequently-used items. Thanks to its poly/cotton twill fabric, this bib apron will withstand daily use and repeated washings.